We may have just clicked into 2011, but my racing season has well and truly started. 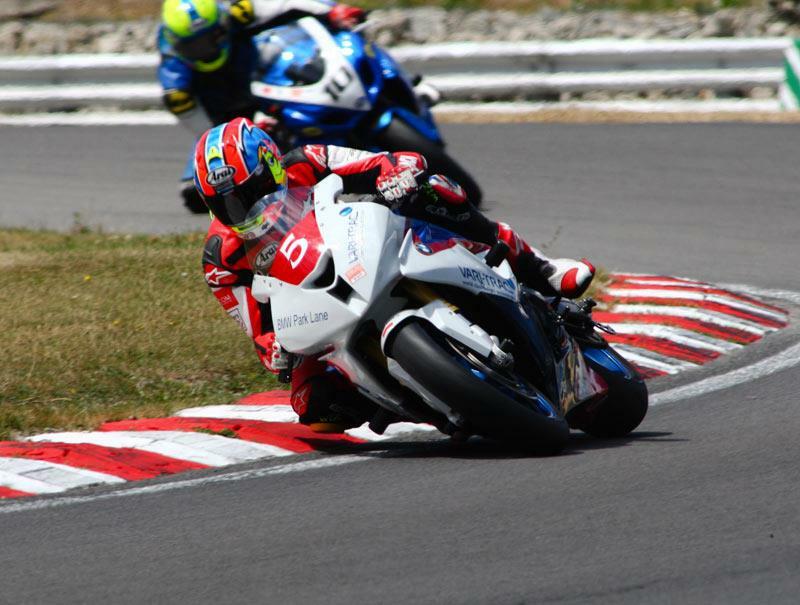 I’m pleased to be riding for the BMW Park Lane team again on their rapid BMW S1000RR in the MRO championship. Instead of racing with the Stocksport 1000 boys, like last year, I’m returning to the open-class Powerbike championship. The best thing about MRO Powerbike is that you’re allowed to run slicks, so the prospect of riding a 190bhp superbike on massively grippy, fast steering tyres is mouth-watering. The other change from last year is the suspension. We’re now running an Ohlins TTX rear shock and a 30mm cartridge kit fitted inside the standard forks. All the BMW’s bodywork is away at Altimura being painted at the moment so I took the naked bike (it looks tiny – all engine, barely contained by an aluminium frame) to Kais Suspension in Atherton, near Manchester, to have it fitted. Kais have been around since 1979 and is a family-run affair. They sell and service road bikes and off-roaders, but the biggest part of their business is suspension - they’re an official Ohlins centre. What Andy, Nick and Jonno White don’t know about shocks and forks isn’t worth knowing. 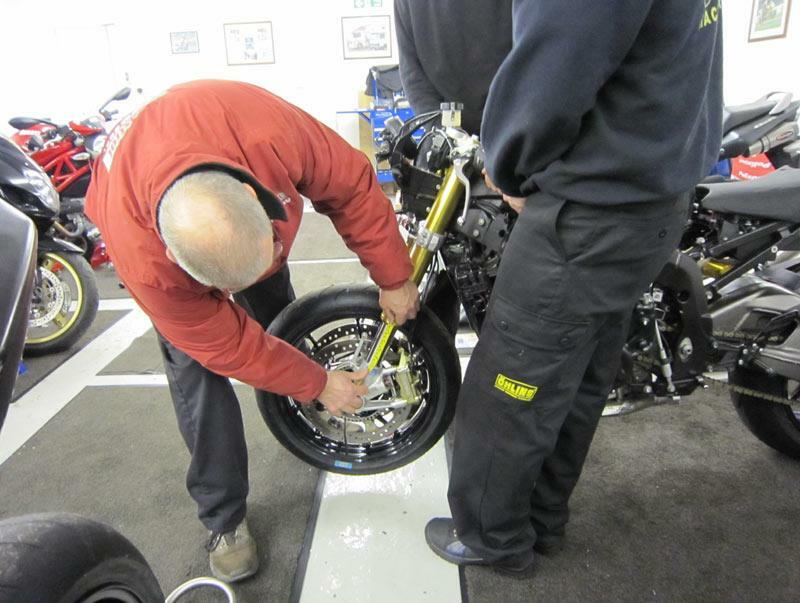 Andy was Tommy Hill’s suspension technician last year…say no more. I’ve run an Ohlins TTX shock and 25mm fork kit on my old R1 race bike, expertly fitted by Harris Performance and know how good it works. The new 30mm kit promises to be even better and the most obvious difference is it converts the forks to have its rebound and compression adjustment on separate legs. It turns it into the same layout as the current R1, with all the adjusters at the top. Nick dialled in some base sag and damping settings and fitted 100nm springs each end. He offered some tips and tricks for set-up. Kais are on the end of a phone for advice when needed, a service they offer all their customers. They also pointed out the BMW has a two-way ride height adjuster built into the top shock mount as standard, which had been on the road setting. We put the race setting in and hopefully it will steer even nicer on track. I’ve actually raced on a 30mm fork kit when I competed in last year’s Silversone round of the 848 Challenge on the Ducati Glasgow/Moto Rapido Ducati. I loved the feel them in the 848, so I can’t wait to try it on the BMW. I get to ride the BMW Park Lane S1000RR in its new guise for the first time at Brands on Feb 11th. It’ll be a bit of a shakedown and a chance to blow off the racing cobwebs before the season starts on March 5/6th. I just hope the weather improves!